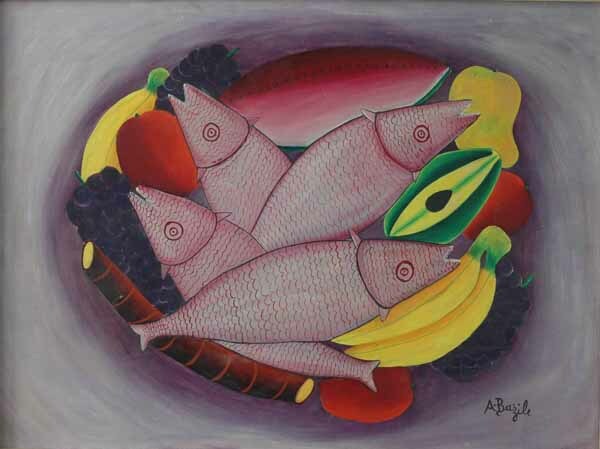 Alberoi Bazile was born in Jacmel, Haiti in 1920. 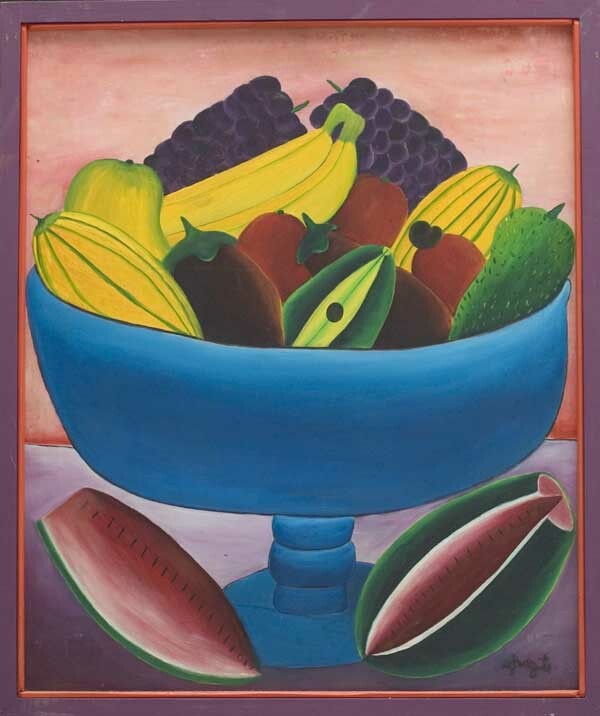 He was a member of the Haitian police force and began to paint in 1951, after being encouraged by his younger brother, the masterpainter Castera Bazile. According to his dealer at the time, Issa el Saieh, Alberoi was part of the police detachment that acted as bodyguard for Francois Duvalier's son, Jean-Claude, who was a schoolboy at the time. During the 60's, an assassination attempt was made on the young Duvalier and Alberoi had the bad luck to have been taking a break at the moment of the attempt. He was supected of being complicit and was jailed and later deported to Miami. As of July 2009, Mr. Bazile was alive and well, although no longer painting, and living happily in the bosom of his family, children and grandchildren, in Boston. His paintings are scarce. They are nurturing. 1960s $1200 framed in wood, painted light purple.